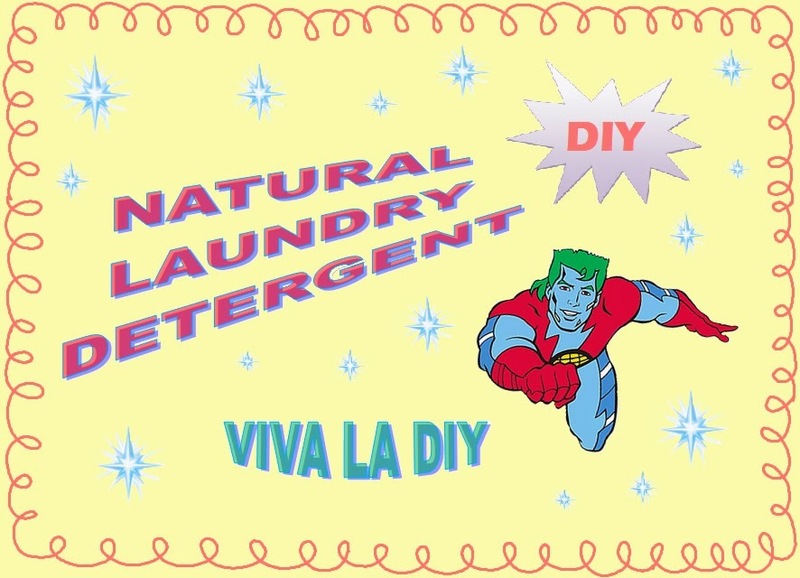 Say goodbye to processed chemicals and other toxins found in common store-bought laundry detergents by making your very own with natural ingredients. Skin no longer feels itchy, less irritation! For years I'd get weird rashes all over my body. I always assumed that this was due to outdoor allergies. However, with natural detergent I no longer have any rashes and my skin no longer itches. Now these did not go away overnight and a change in my diet may have also contributed, but I feel really comfortable in my clothes and it no longer feels irritated. Laundry is just as clean if not, even cleaner! I don't even need to use a spot treatment before washing stains. Being rather particular for cleanliness, this is the part I was most worried about. When my first load of laundry came out, I was exceptionally pleased. Smells great and is really inexpensive! The “The Captain Planet Effect” because I like helping the environment. I am very conscious with what I put in my body and out into the world. Natural alternatives that I make at home makes me feel really good by eliminating harsh fillers and chemicals. 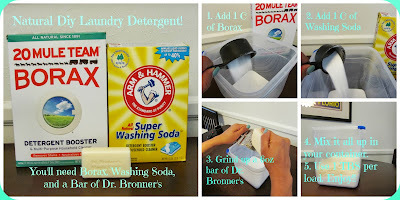 Plus, it's inexpensive; the borax and washing soda are about $4 each and a bar of Dr. B’s is about $3.50. Thus, pros for the great smell, natural feel, and being SUPER inexpensive. Measure one cup of borax and washing soda each. Next, use a grater to grind up a 6 ounce bar of Dr. Bronner's soap. Combine the supplies and mix thoroughly in a sealed tight container. Seal and keep dry when not in use. To wash, add 1 tablespoon per load; note, this makes about 2 3/4 cups of detergent, which will wash a total estimate of 44 loads of laundry! A great bonus is to add a few drops of your preferred essential oil with each load for a hint of natural fragrance.